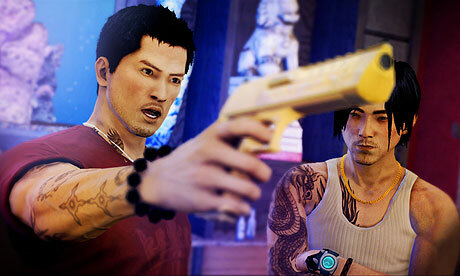 Square Enix has announced that Sleeping Dogs will be getting a bunch of DLC throughout October. The game will be receiving four packs, including the SWAT Pack, Tactical Soldier Pack, Street Racer Pack and a free surprise community gift pack. Details of the games first story add-on will also be revealed at the New York Comic Con on the 14th October. Like the DLC packs, this will also launch in October too. Square Enix revealed the details for each of the DLC packs, which I have put up below. Also, check out the trailer at the end of the post. The packs release dates and prices will be announced shortly. Brand new cars, motorbikes and a speedboat. Three new street races await across the streets and waterways of Hong Kong Island. New car race: Kamikaze, a race around the city's Victoria Peak. New motorbike race: Cross Island Enduro. A Sting superbike, Dragon Helmet and Racing Jacket which provides extra protection against gun fire. Twenty new and replayable cop missions, featuring a unique SWAT outfit & SWAT van. Patrol the streets of Hong Kong in an armoured van and respond to multiple emergency situations across the city in the SWAT pack. A Super-SWAT Tactical Uniform, which will allow you to take twice as much damage. 20 new missions and 4 different mission types. New weapon (promised as the "most destructive in the game) and armour. The Assault Rifle from ‘The Funeral’ and ‘Civil Discord’ missions (with its under-barrel grenade launcher) will be readily available at each of your apartments alongside the Tactical Outfit. Sleeping Dogs community members will also receive the free Community Gift Pack that will give loyal fans some extra, undisclosed goodies.